BT, one of the world's leading communications services companies, and Softbank Mobile Corp. (“Softbank”), Japan’s leading provider of fixed and mobile media services, today announced an initiative to expand the reach of Softbank’s terrestrial networks to Europe, USA, Latin America, Africa and Asia. 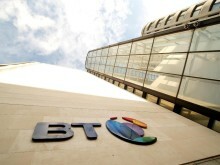 The partnership will also allow BT’s media broadcast division to connect customers to Japanese broadcasters. Broadcasters, rights owners and media distributors will have unrivalled access to network, satellite, compression and conversion services for all their distribution needs. They will also be able to take advantage of permanent and occasional use broadcast network services from either the BT Tower video switch or BT’s broadcast insertion points around the world. BT’s Global Media Network (GMN) is already supporting Softbank’s high-capacity backbone network between USA, Europe and Japan, and the two networks will interconnect at the BT Tower in London. BT’s GMN has points of presence (PoPs) in more than 20 international media cities worldwide, and with access to these locations, Softbank can extend the reach of its broadcast and media services to media customers operating in Europe, Africa the U.S and Asia. From these PoPs, BT has extended its media presence directly into customer facilities in: Los Angeles, New York, Rome, Paris, Sydney, Amsterdam, Toronto, Rio, Singapore, Hong Kong, Kuala Lumpur and Mumbai. The aim is to provide a simple solution which should appeal to those who work within major media events, including sports and news, as well as global channel operators that need to access TV distribution platforms. SoftBank Mobile Corp., a subsidiary of SoftBank Corp. (TOKYO:9984), provides mobile communication, fixed-line communication and Internet connection services to customers in Japan. Leveraging synergies with other SoftBank Group companies, SoftBank Mobile aims to transform lifestyles through ICT and expand into other business areas including IoT, robotics and energy.